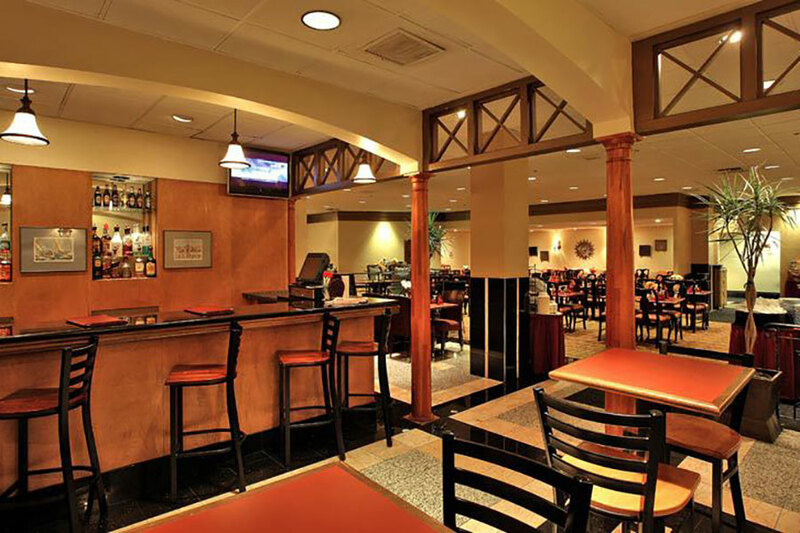 Whether you're visiting Baltimore for a fun vacation or an important business trip, our modern hotel welcomes you in with warm and friendly smiles. Start your day off right at our complimentary hot breakfast buffet, featuring all of your favorites. Business travelers can stay productive with executive-style amenities like free Wi-Fi, 25,000 square feet of flexible meeting space, and a convenient business center. Jump into our refreshing indoor pool, unwind in the hot tub, or sit back and relax on our outdoor patio. 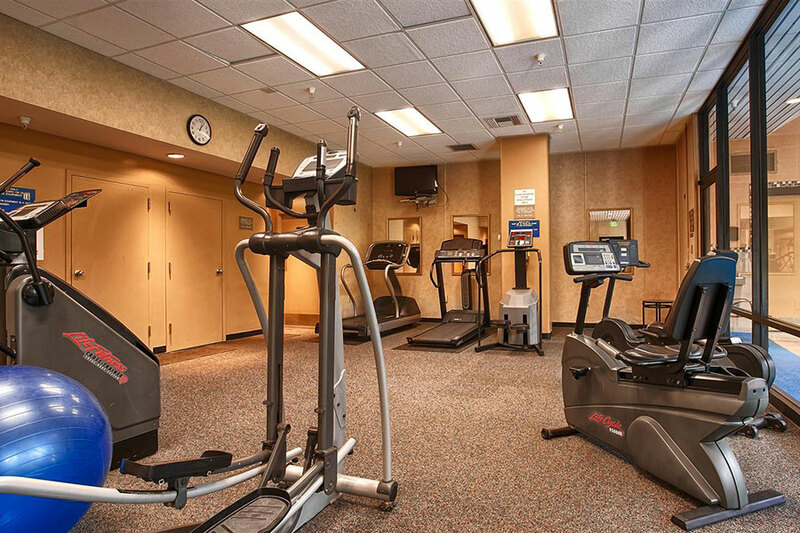 From our stylish rooms to our 24-hour fitness center, our hotel provides all the finest amenities you need for a comfortable stay in Charm City. 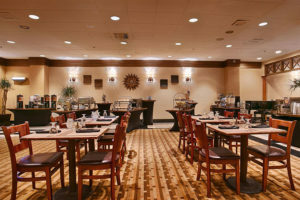 Start your morning off right with a complimentary hot breakfast buffet at our Tradewinds Restaurant. Enjoy hearty breakfast favorites like scrambled eggs, sausage, Belgian waffles, muffins, bagels, juices, and freshly brewed coffee. Our breakfast is served each morning from 6:30 am-10:00 am. 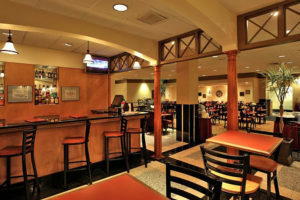 Tradewinds Restaurant also serves a full menu of classic American cuisine for dinner nightly from 5 pm-10 pm. 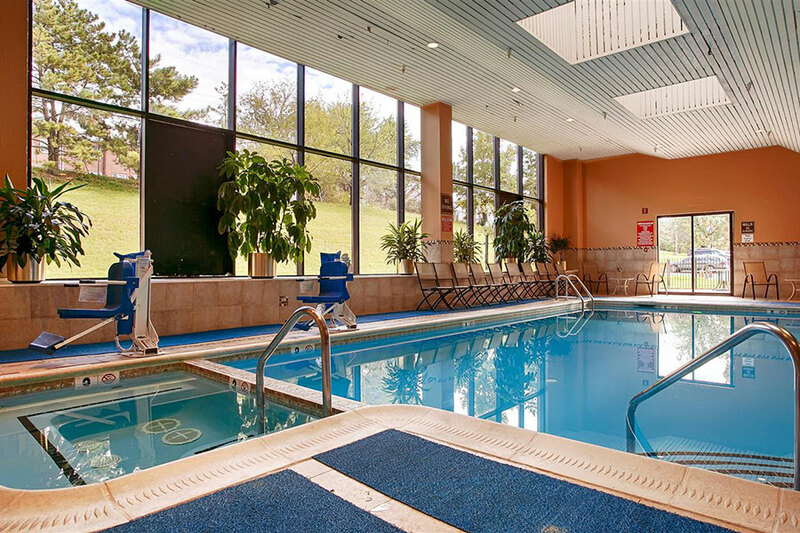 Visitors of our Baltimore hotel will want to take advantage of the relaxation opportunities while enjoying our indoor heated pool, hot tub, and outdoor patio. Venture down to our well-equipped 24-hour fitness center for an invigorating work-out session. There are many equipment options to choose from, including treadmills, stair-stepper, and a stationary bike. A television is also provided so you can tune into your favorite morning program while working out. Coming to Baltimore for a business trip? 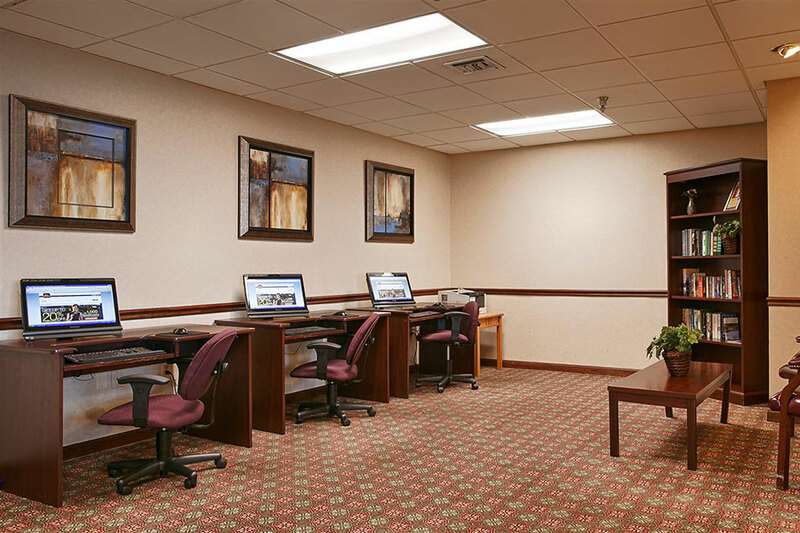 In addition to offering free WiFi throughout the hotel, there is also a well-appointed business center on-site. The business center at Best Western Plus is the perfect place to write a few emails, finish up a report, or review a PowerPoint presentation for a big meeting. 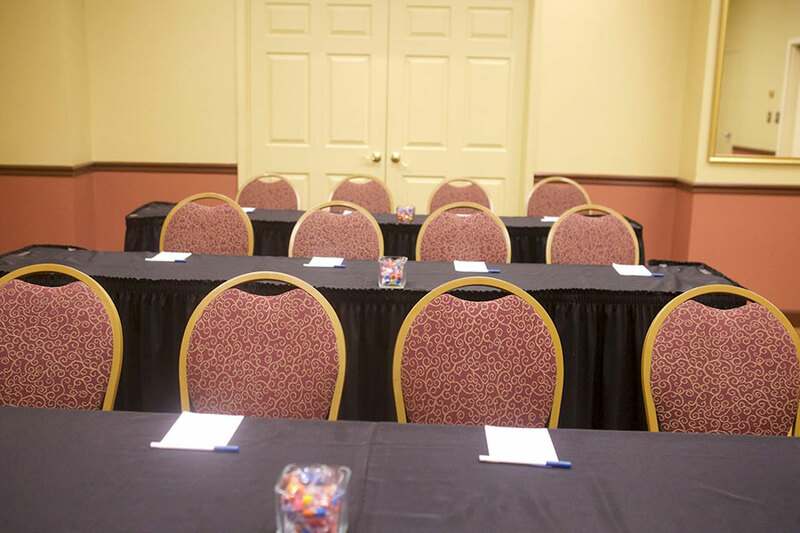 In addition to being in a quiet spot, our business center is fully equipped for maximum productivity, and our meeting rooms can accommodate up to 500 guests. Enjoy the ease of our complimentary scheduled shuttle service to the Inner Harbor, Johns Hopkins Hospitals, and other popular sights. There's so much to do in Baltimore and it's all within reach of our convenient location. Our complimentary hotel shuttle service runs 7am-10:30 pm. For guests purchasing our "Park 'n' Cruise" package, shuttle service with KD Elite Transportation to/from the cruise terminal is included. Please be advised that our shuttle is not wheelchair accessible.